The SuperChrono is discontinued. A new and upgraded wireless version with app for iOS/Android may become available some time in the future. 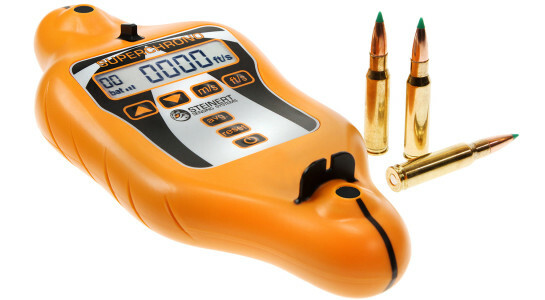 In the meantime, turn to the TrueZeroTarget for bullet speed readings. The World’s First Acoustic Shooting Chronograph! The display and its crystals are angled 15 degrees towards the shooter. By placing the SuperChrono 10′ in front and 3′ below the muzzle, shot speeds can be read without leaving the shooting position. 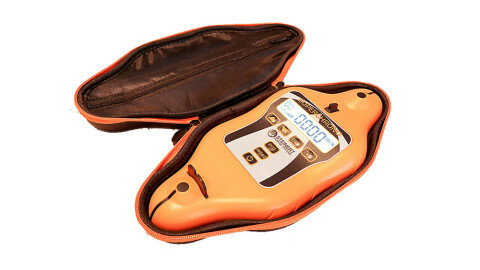 High contrast backlit LCD and large numbers make velocities easy to read even in direct sunlight. It doesn’t matter if it’s a tiny .17 HMR or a rocket; if it’s supersonic, the SuperChrono gives an accurate reading of its velocity. The SuperChrono is simplicity itself. No menus to learn and no loose parts to mislay. 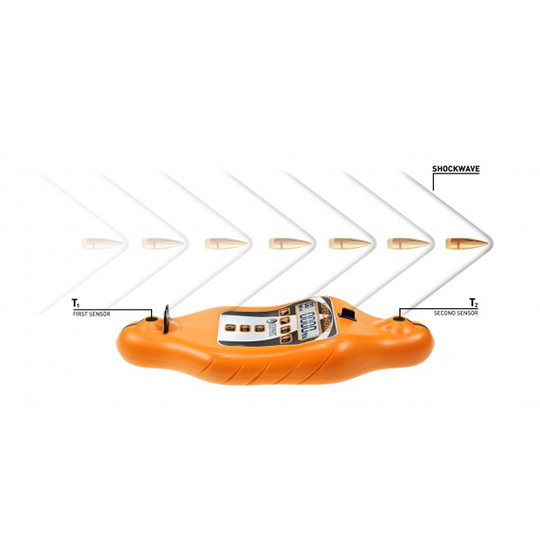 You’ll find tips and hints on how to use the SuperChrono in the user guides below. How the SuperChrono® WorksThe SuperChrono is a shooting chronograph that detects the shockwave of a supersonic bullet. A subsonic bullet does not generate a shockwave and so would not be detected by this product. The SuperChrono’s incredibly fast electronics sample the sensors 40 million times every second. 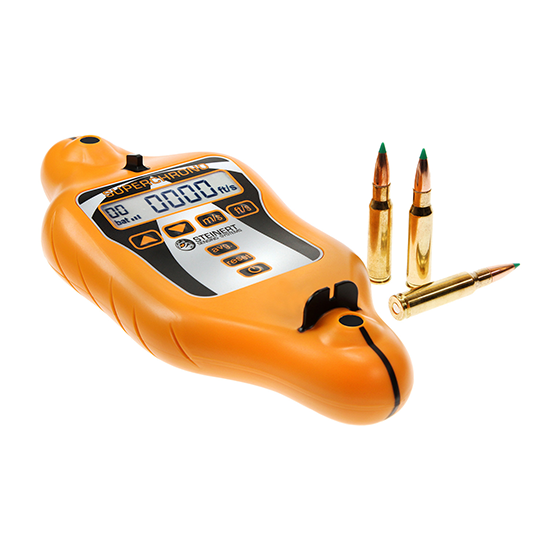 When T1 and T2 are registered, its microprocessor calculates and displays the velocity of the bullet. 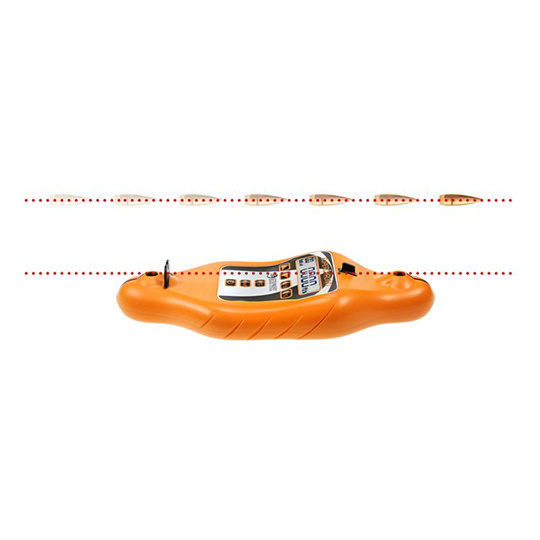 As an example, let us say the difference between the readings at each sensor is 0.00025 seconds, while the distance between the two sensors is 200 millimetres. The time it takes the bullet to travel one metre is therefore 0.00025 x 1000/200 = 0.00125 seconds. This gives a bullet speed of 1/0.00125 = 800 metres per second or 2625 ft/s. A new and upgraded version with Bluetooth and app for iOS/Android will become available late summer 2018. 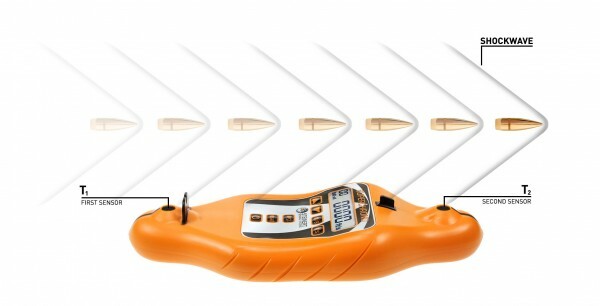 In the meantime, turn to the TrueZeroTarget for bullet speed readings.